These are designed and intended mainly to transport people and material to different heights on the site. 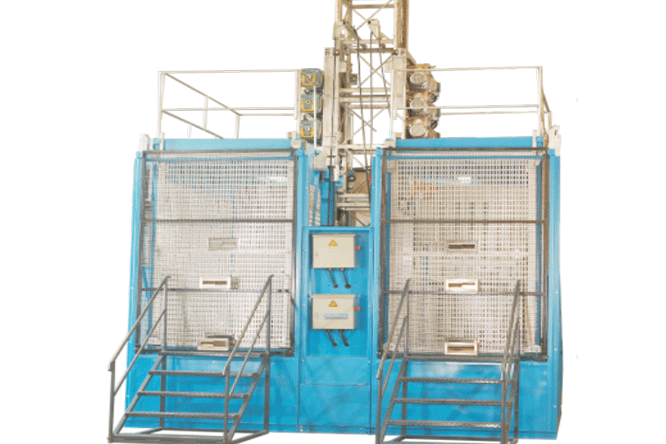 They are equipped with a vast number of safety features and are extremely reliable. 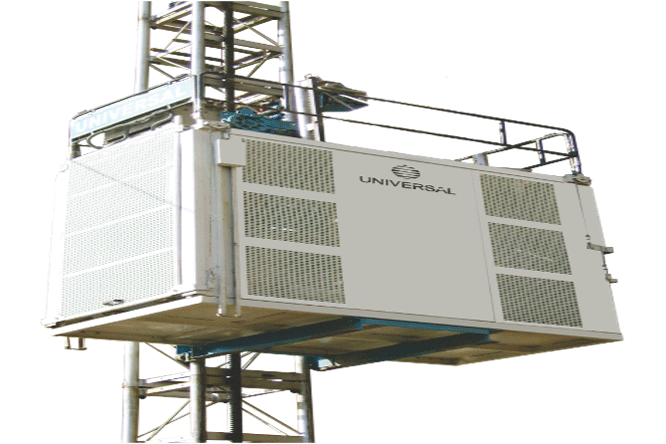 Easy operation, hi-tech control panels and maximum energy savings are the salient features of these lifts. 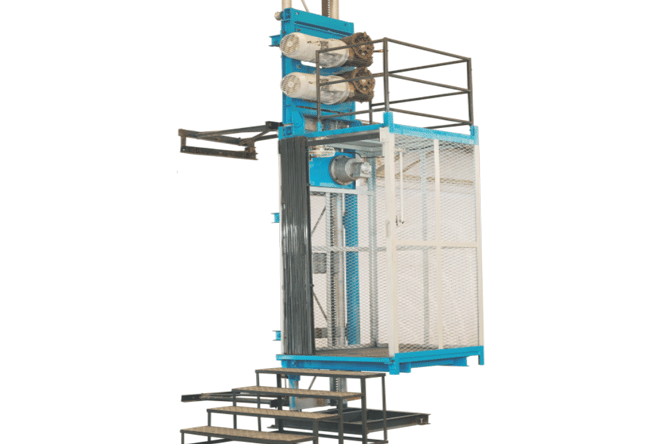 They are available in a wide capacity range – from 400 Kgs. to 2000 Kgs. Motor – (7.5 H.P. 3-Phase, 1440 rpm with Electromagnetic Brakes) 2 Nos. Electrical Supply – 410 Volts, 50 Hz. Cabin Size (L X W X H)- 1100 X 1000 X 2200 mm. 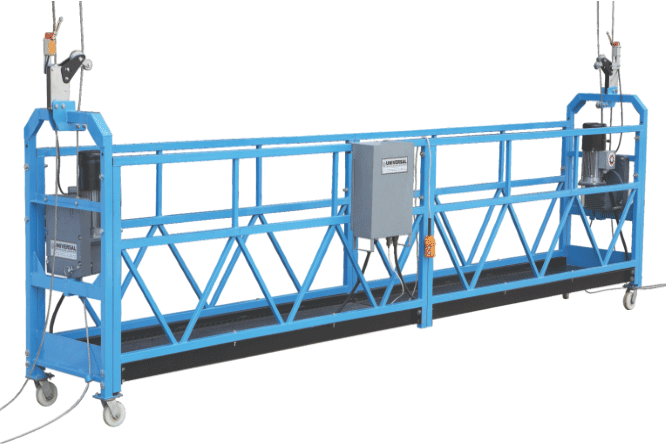 Payload Capacity – 400 Kgs. Max. Height – 400 Mt. Landing – With Floor Selector. Safety Equipment – Centrifugal Brake, Fail Safe Brake.